To hold a license in the state of California, you need to have 4+ years of experience prior to taking the exam. However, you have the possibility of receiving credit for apprenticeship training, technical training, or education, regardless if you have 4 years of experience. The Board may accept your trade experience and/or license in another state. However you’ll still have to apply for a license, pass the law and business part of the Board exam, and pay the appropriate fees. Who Needs it in California? The California state law requires all individuals or businesses who alter or construct any parking facility, road, highway, building, excavation, railroad, or any other structure within California needs to hold a license by the CSLB (California Contractors State License Board) if the entire cost, including materials and labor of one or more contracts totals over $500. 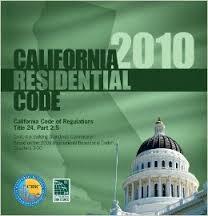 To obtain and keep a Contractors licensure, you don’t have to live in California. Contractors, subcontractors, specialty contractors, or someone who is engaged with the business of improving a home needs to have a license before submitting any type of bids. Serious penalties can occur for anyone who is unlicensed and doing contracting work without a license. Typically, a first time offense will result in a misdemeanor, which has the potential sentence of six months in jail or a $500 fine, plus a administrative fine between $200- $15,000. The penalty will go up, depending on the violation. Do not turn in any initial license fee or any bonds with the application. After completionof your exam, you will then be told to turn in the required documents, which will be the Contracts Bond and proof of Workers Compensation Insurance, as well as the initial licensure fee. The links to classifications can be found within the state of California website. You must have $2,500+ worth when it comes to ordering capital. The ordering capital is the current assets minus the current liabilities. Experience, Education, or Exam Requirements: Are There Any Required to Obtain a California License? Yes. It will be given by CSLB. After the processing and acceptance of the application, you will receive a ‘Notice to Appear for Examination’, and this will include the time, location, and date of the exam. The exam sites are throughout the state of California. Each of the individuals who qualify will need to pass the standard Law and Business exam, as well as the second test that covers the specific certification area or trade that the individual is applying for. Both of the exams have multiple choice questions. Any contractors who work with hazardous substances, including asbestos will be subject to various requirements for reporting, safety, registration, certification, and safety, as well as requiring more exams, applications, and training in order to receive certification. In order to qualify for the exam, you will need at least 4 years of experience. The credit given for the experience is only for experience with a journey level as a supervising employee, owner/builder, foreman, or a contractor. No education requirements are needed to qualify for a contractor license. Although, there is potential to receive credit for apprenticeship training, education, or technical training rather than a portion of the experience of the required 4 years. There has to be at least one year with experience. For further information, you can check the state website for more details. Contractor Continued Education: Is it Require in California? At this time, there are no requirements for continuing education. The license for a contractor is typically issues for just two years, and it will expire two years from each last day of the month that it was issued. NASCLA Accredited Commercial Contract License: Is it Accepted in the State of California? 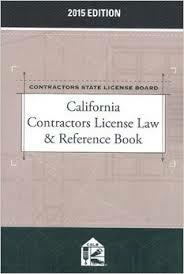 General Contractor Commercial Contractor License: Does California Require It? Is There Reciprocity With any Other States? If an individual is out of state, hey can apply for a license for the state of California, but they must meet the qualifications. The state of California has formal reciprocity agreements with licensing agencies for contractors, including Arizona, Nevada, and Utah for specific classifications. The scopes of the licensing and practicing requirements are fundamentally or identical in each state with California. The state of California may acknowledge the experience of the qualifications for some trades, as well as the Registrar might wave the exam for the written trade for a contractor that is licensed within another state. The applicants need to still qualify by completing and passing the Law and Business Exam. 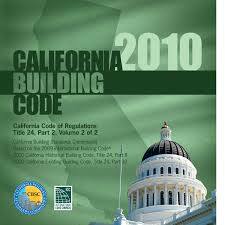 They must also apply for and be granted a license by the California contractors State Licensure Board. California state holds reciprocity agreements with the contractor licensing agencies, including Arizona, Utah and Nevada. This means that a General Contractor, that holds a valid license that is in good standing within one of the three states listed above, may become licensed to work on projects in the state of California. California’s reciprocal agreements with the above states are due to the similarities in the licensing requirements, as well as the scope of work covered by each license classification. Reciprocity between the three states makes the entire process of obtaining a California General Contractor license easier and more streamlined. A General Contractor licensure within the State of California is classified as a Class B, General Building Contractor License. Licenses are issued and granted by the Contractor State License Board (CSLB). Hold an active license in good standing with the following states: Arizona, Nevada or Utah for the past five years, in one of the corresponding General Contractor License classifications. Obtain, complete and submit the application for the CSLB licensure, along with all required documents and fees. Obtain theRequest for Verification of License. This form is made up of two sections. Contractors are required to complete the top portion of the document. The contractor-licensing agency for Arizona, Nevada or Utah must complete the lower section of this form. Contractors are required to take and pass the qualifying examination for California, which is administered by the CSLB. The CSLB will issue a notice to appear for the examination during the time that they accept the contractor’s license application. The notice will also contain specific study materials that will assist the contractor prepare for the exam. Each applicant is required to pass the Business and Law portion of the exam, and must do so with a minimum score of 72%. In certain cases, the CSLB will waive the Trade portion of the exam, if and when the applicant meets all the other reciprocal requirements. Question: How do I register my construction company in California? What forms do I need to register my new company in California? Question: How do I look up a company in California or see if a company name is available to register?